Hurricane Energy plc, the UK based oil and gas company focused on hydrocarbon resources in naturally fractured basement reservoirs has provided an operational update on their website in relation to the Early Production System development of the Lancaster field. 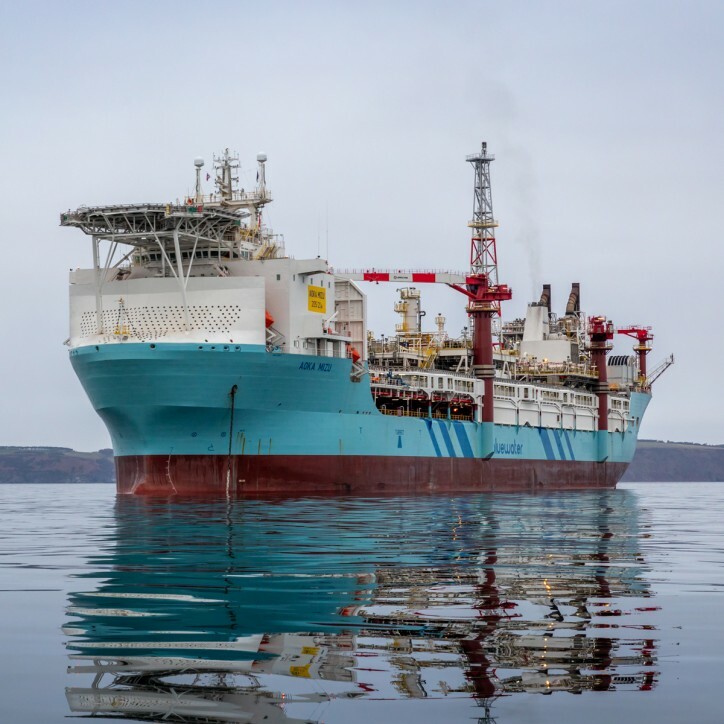 The Aoka Mizu FPSO arrived at the Lancaster field on 17 March 2019 and successfully hooked-up to the turret mooring system buoy on the morning of 19 March 2019. The vessel is now on station and securely moored. Work to achieve first oil continues, following which a further announcement will be made. After first oil, Hurricane anticipates a gradual ramp up of production towards its planned average plateau rate of 17,000 bopd, net of operating efficiency. Hurricane was established to discover, appraise and develop hydrocarbon resources associated with naturally fractured basement reservoirs. The Company's acreage is concentrated on the Rona Ridge, in the West of Shetland region of the UK Continental Shelf. The Lancaster field (100%) is Hurricane's most appraised asset, with five wells drilled by the Company to date. It has 2P reserves and 2C contingent resources of 523 million stock tank barrels of oil. The Company is currently proceeding towards the first phase of development of Lancaster, an Early Production System which will be the UK's first basement field development. It involves a two well tie-back to the Aoka Mizu FPSO and is expected to initially produce 17,000 barrels of oil per day (gross production of 20,000 bopd with assumed operating efficiency of 85% following ramp-up). First oil is targeted for 1H 2019. Hurricane's other assets include Lincoln (50%), Warwick (50%), Halifax (100%), Whirlwind (100%), and Strathmore (100%). Together with Lancaster, these assets have total combined 2P reserves and 2C contingent resources of 2.6 billion barrels of oil equivalent (2.3 billion barrels of oil equivalent net to Hurricane).